Beautiful glass railings that give you an unobstructed view from your deck. Forest Fence & Deck Co Ltd.
With more than 10 years of experience in custom design and building, Auger Woodworks has a successful track record of providing clients with top quality products and a high standard of customer care. Whether you require a complete overhaul with major renovations, or desire a subtle change to revive your space, we can create a fresh stimulating outdoor atmosphere for any residential, commercial, or industrial property. 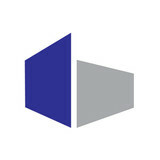 Our core competencies include innovative design and custom, practical strategies that meet each client's unique needs. We offer an incredible selection of fencing and decking products, and our skilled professional installation crews ensure that every job is completed perfectly. Your vision of outdoor living can be fulfilled in a creative and cost effective way with Auger Woodworks. Since 2003 Habitat Haven has been dedicated to providing happy and safe outdoor living spaces for pets. We are creators of The Original Catio. Our innovative enclosure systems let you give your pets the best of both worlds: the safety, health, and comfort of indoor living with the freedom, fresh air, and fun of the great outdoors. Our trademark modular designs have been installed in houses, condos, apartments, workplaces, or cottages around the world. We can ship directly to your home, do-it-yourself kits or fully customized and fully installed configurations. Pets are our companions and part of our families, give them the quality of life they deserve. Eagle Canvas specializes in quality custom canvas products that suit your every need. When it comes to canvas, design, and application we've done it all. With more than 35 years in the business we've earned a reputation for great customer service and friendly staff who are there to meet your every need. Jans Awning Products: Burlington and Oakville's best choice for windows, patio doors, sliding doors, awnings and roller shutters. Serving communities in GTA for over 10 years, Mr. Adam Patel, owner and operator, began his trade in Thornhill and slowly branched to neighbouring communities such as Richmond Hill, Vaughan and Markham. Upon relocating to a more central location, we have expanded our deck building services to a larger part of the city. We proudly serve many areas around the GTA, including: Mississauga, Scarborough, North York, Thornhill Woods, and King City. VIC FENCES has designed and completed numerous projects all over the state of the GTA. We offer high quality work. We are also sure to test & inspect before we start work and help you get your home in order. Gazebos & Pergolas are becoming increasingly popular these days, as they offer an added element of serenity and privacy to any backyard space as well as many other hidden benefits. A gazebo is a freestanding, often open-on-all-sides, outdoor roofed structure that will provide you with shade and shelter from the elements and a great place to dine. A well-designed gazebo will greatly enhance any backyard landscape, whether it’s integrated into a deck or placed in a quiet area of your backyard. Just Decks are proud to have created hundreds of creative and highly complex gazebo structures. Similar in some ways to a gazebo, pergolas are a partially roofed outdoor structure that provide partial shade and in some cases, added privacy to your deck and backyard areas. Pergolas can also be enhanced with vines and planters, which add further shading and privacy under your control. Just Decks has designed and built hundreds of unique pergolas of all shapes and sizes. Hickory Dickory Decks is Canada's No.1 custom deck company. We specialize in low maintenance decking. Welcome to Beaver Brothers Deck Builder. 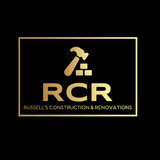 We are a full service custom deck building company servicing Toronto and surrounding area, including Richmond Hill, Aurora, North York, Markham and even as far north as Barrie, Muskoka and deep into cottage country. Beaver Brothers, also known as BB Decks was founded nearly 10 years ago in Toronto. Our mission is to build quality custom decks that will not only beautify your home but last. 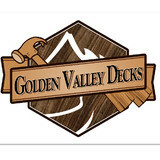 We offer competitive deck building prices that will provide you with some of the best value for your money. At Beaver Brothers Decks, we are experts in working with a broad range of decking materials, including pressure treated, cedar, ipe, composite decks, and other exotic hardwood. BFC Contracting & Design prides itself on taking on the most challenging projects you may have in mind. We cover the complete spectrum of concrete needs, from excavation to polished concrete floors. We look forward to working with you! OUR MISSION Torontodecks.com aims to provide the client with the most well designed project to fit within the client’s wants, needs, and budget. Torontodecks.com will do this by providing the highest quality deck designs, workmanship, and materials in a professional manner. 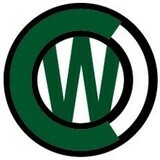 COMPANY PROFILE Torontodecks.com provides Guaranteed Workmanship and Quality Materials to its customers. 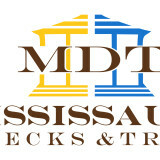 Torontodecks.com has the experience and craftsmanship to provide you with the desired results you are looking for. Torontodecks.com specializes in building low maintenance free and traditional wood decks. All decks can be designed with benches, planters, railings, arbors, privacy screens, wrap around steps, full skirts, custom decking patterns, iron railing systems, etc. All carpenters are professional carpenters by trade. This insures a high quality job and outstanding craftsmanship.